Seth Godin reminds us that we should only borrow money to buy things that go up in value. Of course the trick is knowing which things will go up in value, and which won't. But some things definitely won't go up in value: like clothes, summer holidays and cars. The same goes for borrowing by governments: borrowing might make sense to build a modern transport or energy infrastructure - but not to fund the early retirement of state employees. 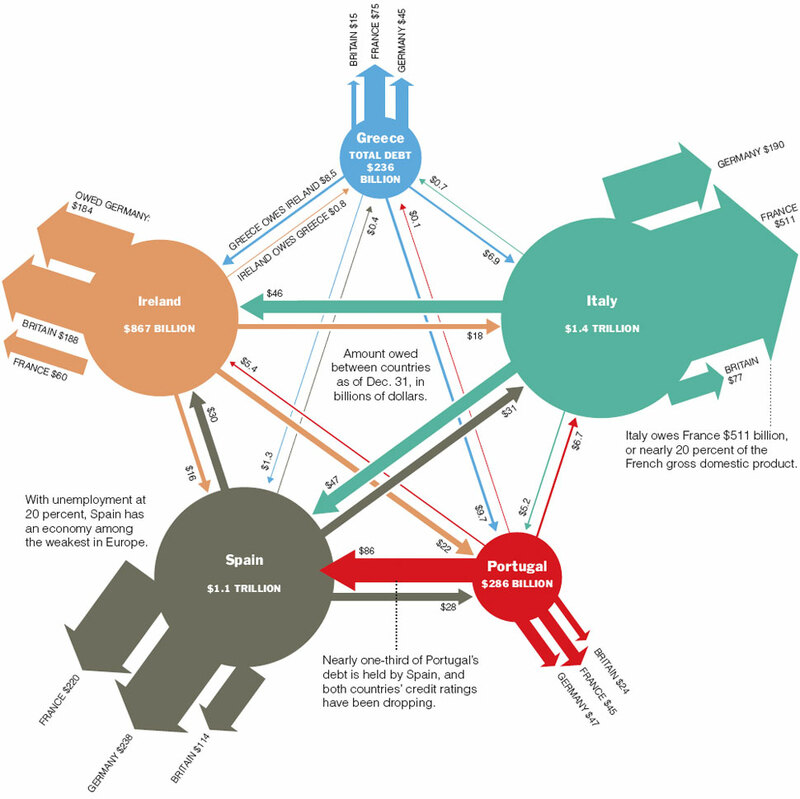 Just ask the Greeks (who seem to have borrowed a lot more from us than we have from them, according to the chart). Or maybe not. Nassim Taleb - in the latest interview over at EconTalk - seems to have turned against debt entirely: he's now back to the Babylonians, arguing that debt and leverage increases complexity and therefore vulnerability. Kind of like we have now. Here in Europe we are undoubtedly in a bad place. The barbarians aren't so much at the gate as in the trading rooms. With the eurozone at the heart of a massive, sovereign-debt bubble that could potentially end in tears (or 'debt restructuring' as it is known euphemistically). But won't Germany save us? Apparently not: if Germany's local governments were independent countries they would be in an even worse state than Greece. Perhaps Polonius in Shakespeare's Hamlet was right: Neither a borrower nor a lender be.